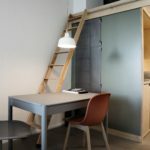 Our small double rooms are a great affordable option for couples, or individuals that prefer a larger bed. 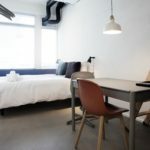 The room features a 160 cm double bed, private bathroom with shower cabinet, a wall hung 40’’ flat screen Samsung HDTV with a broad selection of channels, and a kitchenette equipped with fridge, ceramic stovetop and basic kitchen supplies. 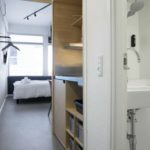 The 18 square meter room also feature a small dining table and two chairs, along with clothes hangers for storage. 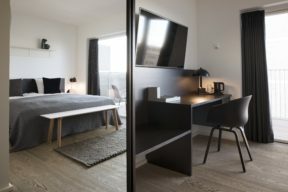 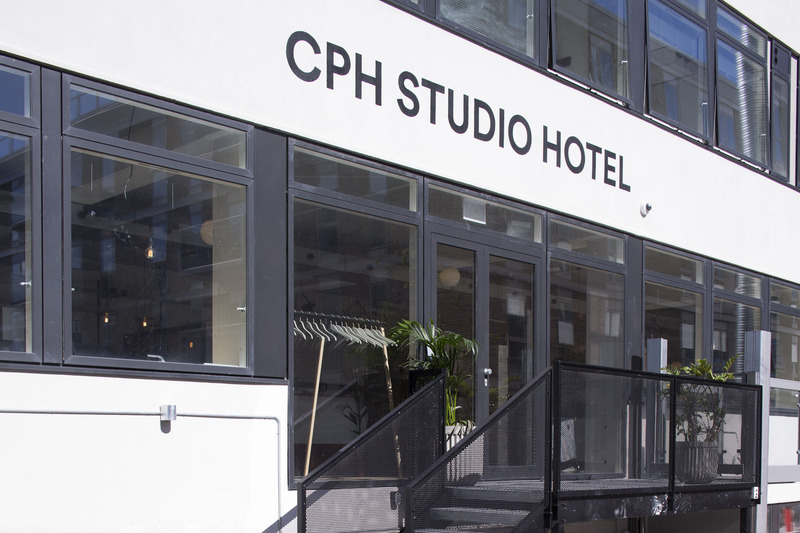 The hotel offers single, double, twin and superior rooms, furnished by the Scandinavian design studio HAY, all kept in the minimalistic, modern style that Denmark is so well known for. 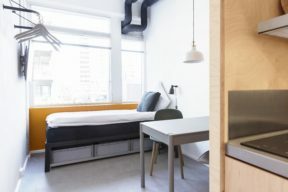 Comfortable beds, private bathrooms in all rooms and a functional kitchenette in both single, double and twin rooms makes up the basis of this carefree, affordable, urban environment. 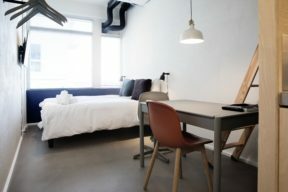 The superior rooms on the top floor, whilst not equipped with kitchenettes, offers balconies with great views of either the city or the sea, perfect for guests staying for just a few nights.